After sending a message to his No.1 goalkeeper, ESPN FC's Gab Marcotti and the FC crew explain why Maurizio Sarri should start Kepa against Fulham. Chelsea will need to move quickly to replace Maurizio Sarri with top target Zinedine Zidane, with Juventus also interested in him. The Sun reports that Juve boss Massimiliano Allegri has said he could leave in the summer even if he helps them to a fifth consecutive Serie A title. And that means the Old Lady are likely to want to bring Zidane, who could help attract stars such as Real Madrid's Marcelo to Turin, back to the club with which he won two Serie A titles. Chelsea are believed to have made Zidane their top target to replace Sarri and, with Allegri's future unclear, may need to act sooner rather than later. Sarri quietened rumours of his exit with the 2-0 win against Tottenham at Stamford Bridge on Wednesday, but his future in London remains uncertain. 23.02 GMT: That's going to bring to a close Friday's live edition of Transfer Talk. 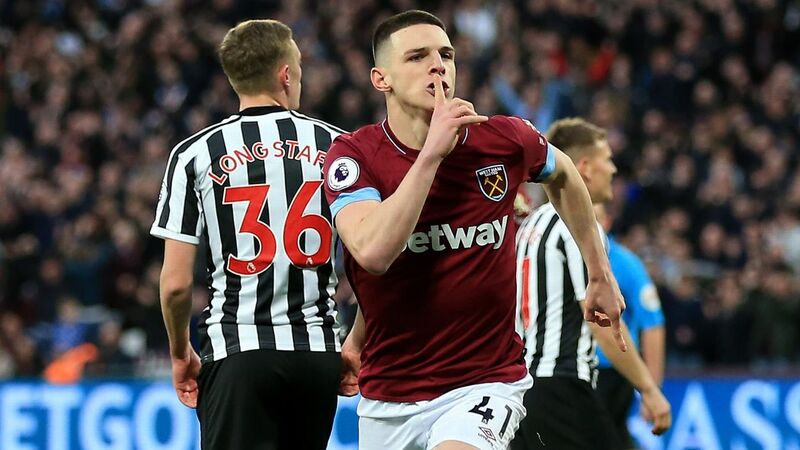 Thanks very much for joining us, and be sure to check back in a few short hours when we return with the latest gossip pulled from Saturday's back pages. 22.03 GMT: Even though he just signed a new contract at Juventus, Alex Sandro could be forced out of Turin to make room for Marcelo, according to Tuttosport. 21.11 GMT: The Express cites Madrid-based outlet AS as reporting that Real Madrid are ready to cash in on Gareth Bale this summer, with the Wales international having fallen behind Vinicius and Lucas Vazquez in the pecking order. 19.34 GMT: Calciomercato is reporting that Spanish journalist Eduardo Inda has told Chiringuito TV that Real Madrid are preparing to use James Rodriuez in a player-plus-cash deal that would bring Neymar from Paris Saint-Germain to the Spanish capital. 17.57 GMT: Calciomercato reports that Liverpool could look to Borussia Monchengladbach's 25-year-old centre-back and Germany international Matthias Ginter to replace Joel Matip this summer. 16.20 GMT: Another young player close to leaving South America for Europe is Matheus Guedes, with Globoesporte reporting Roma are interested in signing the 19-year-old full-back. Given the improvements made by Cengiz Under and Nicolo Zaniolo at the Italian capital, the Giallorossi are an appealing option for most young players. 15.30 GMT: Mundo Deportivo are reporting that Barcelona's technical director Jose Maria Bakero has travelled to Ecuador to watch a hot prospect... who plays for Barcelona! The report claims Bakero has watched Edwin Valencia, 16, in action for Barcelona SC de Guayaquil under-20s. 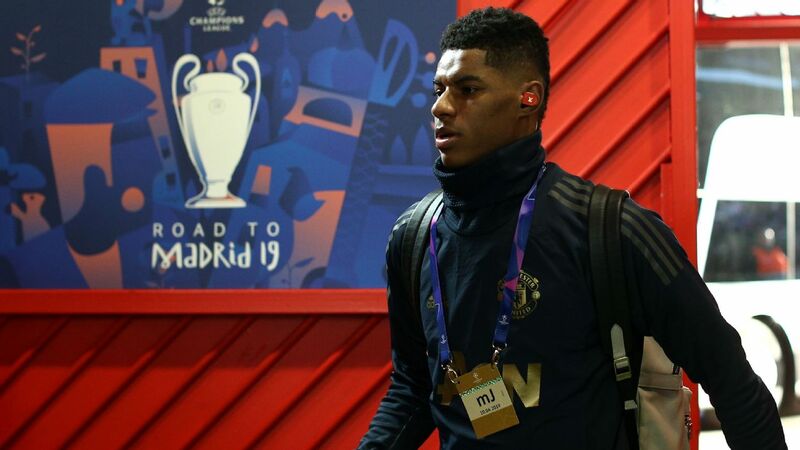 14.40 GMT: Manchester United boss Ole Gunnar Solskjaer has told Antonio Valencia he must regain fitness before the club offers him a new deal. 13.47 GMT: Chelsea defender Ola Aina, who has impressed on loan at Serie A club Torino, could be set to complete a permanent move there for around £9m, Goal reports. 13.14 GMT: Leicester City defender Ben Chilwell has said he and fellow England international Harry Maguire are more likely to stay at the King Power in the long term following the arrival of Brendan Rodgers as manager, Sky Sports reports. 12.43 GMT: Arsenal could make a summer move for 17-year-old Gabriel Martinelli, an attacker for Brazilian club Ituano, according to reports. Martinelli had a trial spell with Manchester United in 2017. 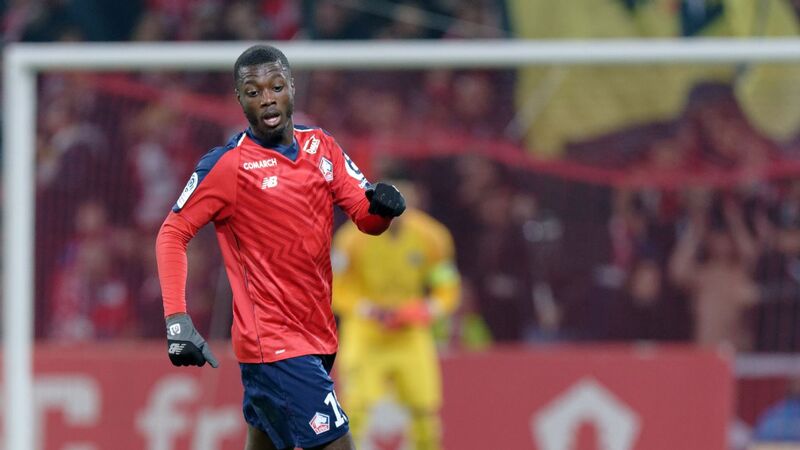 12.01 GMT: Toulouse forward Max-Alain Gradel has said he is good enough to play for one of France's biggest clubs, telling RMC: "I know that I have the level to play for PSG, or Marseille. Playing for PSG, with the players that they have, makes things easier." 11.36 GMT: Newcastle manager Rafa Benitez has urged on-loan striker Salomon Rondon, who has eight goals so far, to keep doing what he is doing to increase the chances of a permanent move from West Brom. "What I told him is to just concentrate on the next games," the Chronicle reported Benitez as saying. "Play well and score goals and it will be easier. If you are doing something well, it is the best way to promote yourself." 11.17 GMT: It's not the first time we've heard this, or something very similar, but AS reports that Gareth Bale's days at Real Madrid are numbered, with the club ready to sell him in the summer. 10.50 GMT: Manchester United caretaker manager Ole Gunnar Solskjaer has said the club "will do what we can" to keep goalkeeper David De Gea but his future is "out of my hands." 10.27 GMT: UOL Esporte reports that Paris Saint-Germain are keeping a watchful eye on Gremio attacking midfielder Guilherme Azevedo. 10.00 GMT: Norwich are leading the chase for young Spurs defender Maxwell Statham, according to reports. Brentford, Nottingham Forest and Sunderland have also been linked with the 18-year-old, the son of former Tottenham defender Brian Statham. 09.10 GMT: Landon Donovan has told ESPN podcast Caught Offside that he is "a little worried" for Christian Pulisic's current situation at Borussia Dortmund but is confident the Chelsea-bound player will bounce back from what has been a frustrating season. Pulisic remains at Dortmund until the end of the campaign after completing a $73 million switch to Chelsea in January. 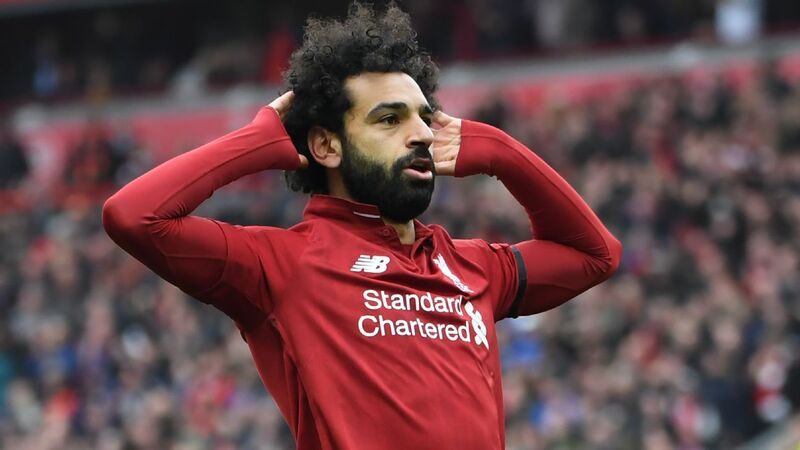 After a bright start to his career in the Bundesliga, he has made only 13 league appearances this season, scoring one goal, with only five of those as a starter. "Candidly, I am a little worried, and I think American fans should be a little bit. I understand the situation at Dortmund now; they are not going to play a player who is leaving in six months," Donovan said. "The beauty of the situation with Christian is that he, by all accounts and from what I have seen, has a really good head on his shoulders, likes to compete and is oozing with talent." 08.25 GMT: Benfica is where many of Europe's top clubs are looking for young talent, with Joao Felix and Ruben Dias having been linked with Manchester United and Juventus in a €180m double deal. 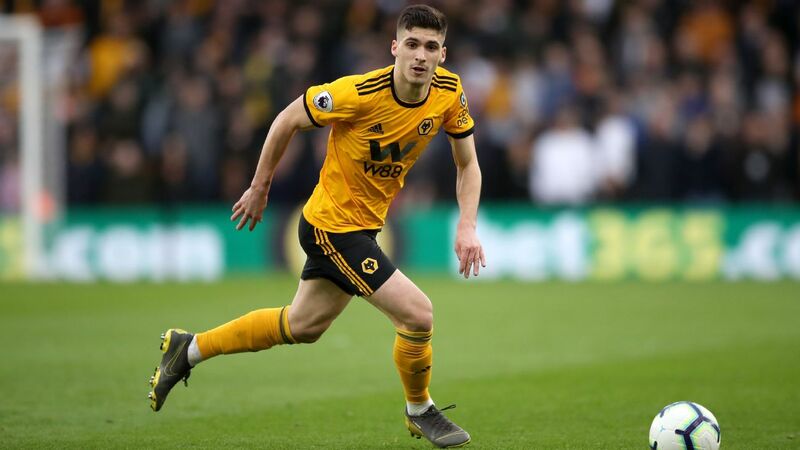 However, the Portuguese club have continued their policy of tying their promising young players to new contracts, with central defender Ferro the latest to sign. 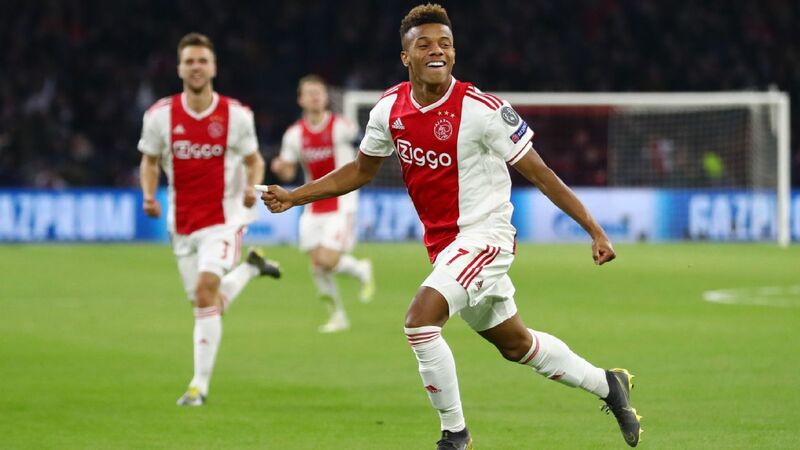 The 21-year-old, who came through Benfica's youth ranks, has put pen to paper until June 2023, with a reported €100m release clause included in the deal. Ferro, in his first season with the first team, has made a total of seven appearances. Benfica president Luis Filipe Vieira has said young players in Benfica's first team will only leave the club if their release clauses are met, adding: "We don't have as an aim to sell the players that came up through our youth ranks. Our priority is that this pool of youngsters will be the base of our main teams in the future." Should he stay or should he go? Chelsea playmaker Eden Hazard faces a similar predicament to the Clash circa 1982 as he considers his future, but Le10sport suggests he could stay in London. 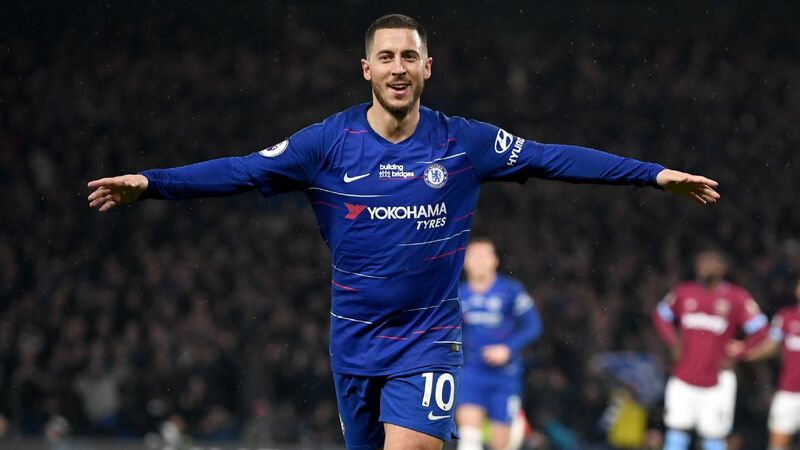 Hazard has 18 months left on his contract, and with Chelsea facing consecutive transfer window bans, many believe he will leave the in the summer with Real Madrid his most likely destination. Contract talks had been put on hold, but it is believed the Blues have restarted discussions with Hazard's representatives. Much may depend on the club's managerial situation (see above). 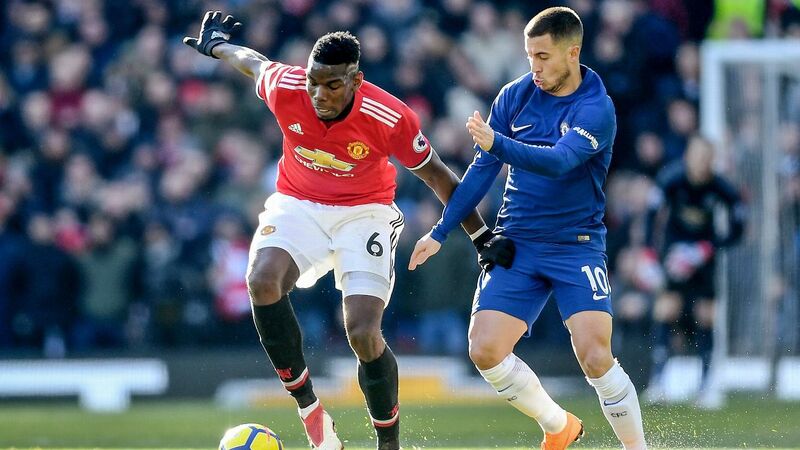 Chelsea have said all season that they hoped to tie Hazard down, but the Belgium international has played down any talk of staying, responding with: "We'll see" when quizzed on his next move. - Liverpool are reportedly keeping tabs on Trabzonspor midfielder Abdulkadir Omur. Talksport are reporting that Liverpool scouts have been in Turkey to run the rule over the 19-year-old, with Manchester City also rumoured to be interested. - Manchester United target Saul Niguez has signed for the Stellar Group, the agency representing a host of players including Jesse Lingard, Luke Shaw, Gareth Bale and Jordan Pickford. The Atletico Madrid star is a wanted man and his change in agency is enough for the Mail to suggest he could be on the move in the summer. 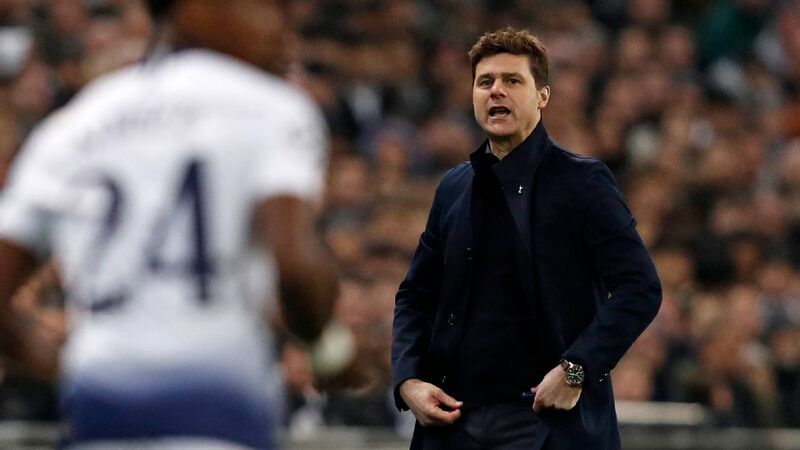 - Tottenham officials fear boss Mauricio Pochettino could leave for Real Madrid in the summer now Spurs have fallen further behind in the title race. The Sun suggests Pochettino may jump ship for a club likely to back him more heavily in the transfer market. - According to Corriere della Sera (via Calciomercato), Inter Milan and Real Madrid are considering a swap deal involving Isco and Mauro Icardi. Both players have been consigned to the sidelines, prompting rumours about their futures. - Edin Dezko's long-term future at Roma is "not a priority," according to reports from Sky Sports Italia (via Calciomercato). 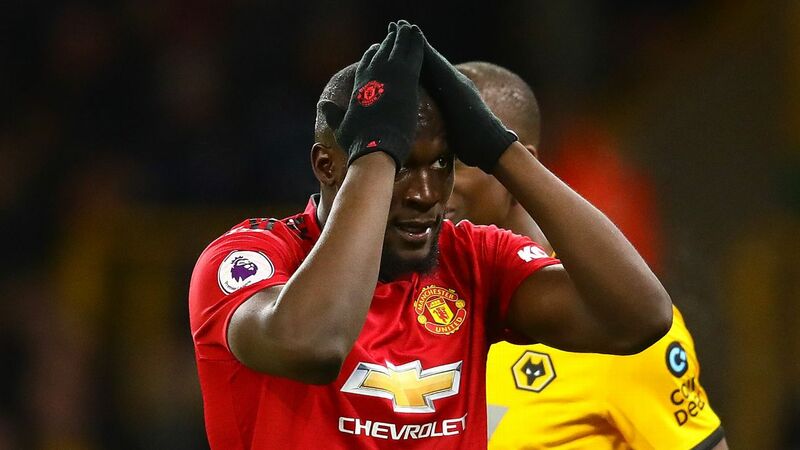 The striker's deal runs until June 2020, at which point he will be 34, and the club may feel they want someone younger to lead the line in a year.